I packed up and rolled out of the campground around 8:30am. It was a pleasant morning in the woods and mountains – the Breaks Interstate Park is a beautiful place, especially if you like mountains and woods and that sort of thing. I never knew this park even existed. 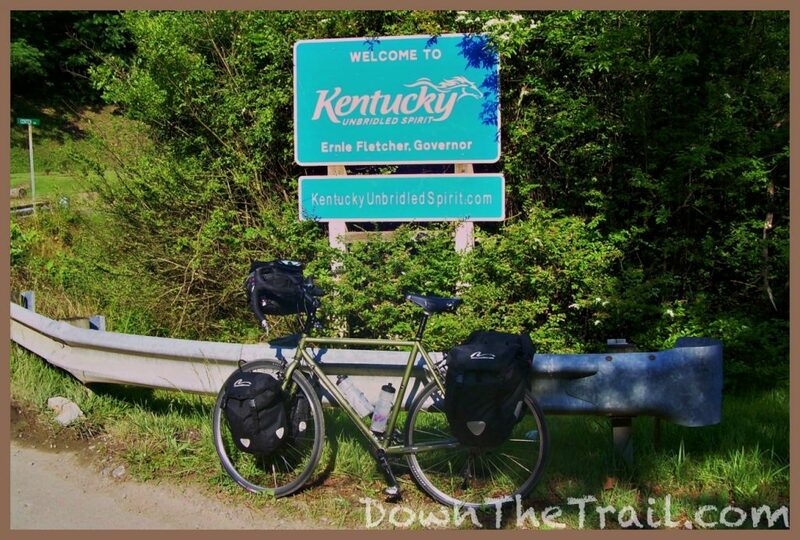 I started today’s ride with a nice descent from the mountain, and entered the state of Kentucky! 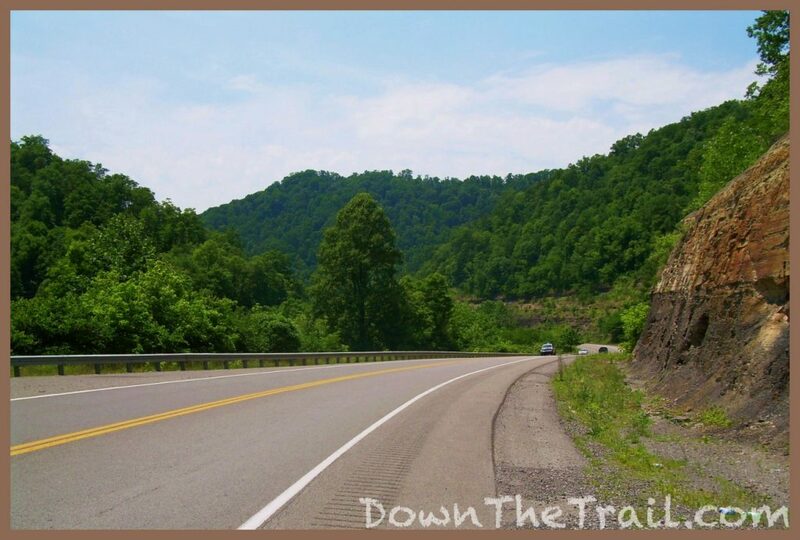 Another thing I never knew existed… the hills of eastern Kentucky! I’m obviously not in Virginia anymore. The farms, fields, and scenic mountains (Typically off in the non-threatening, hilly distance) are long gone. Here we have dense, steep mountains and hills. There isn’t a flat piece of land to be seen. It’s no wonder that the settlers took some time to spread to the west through here. 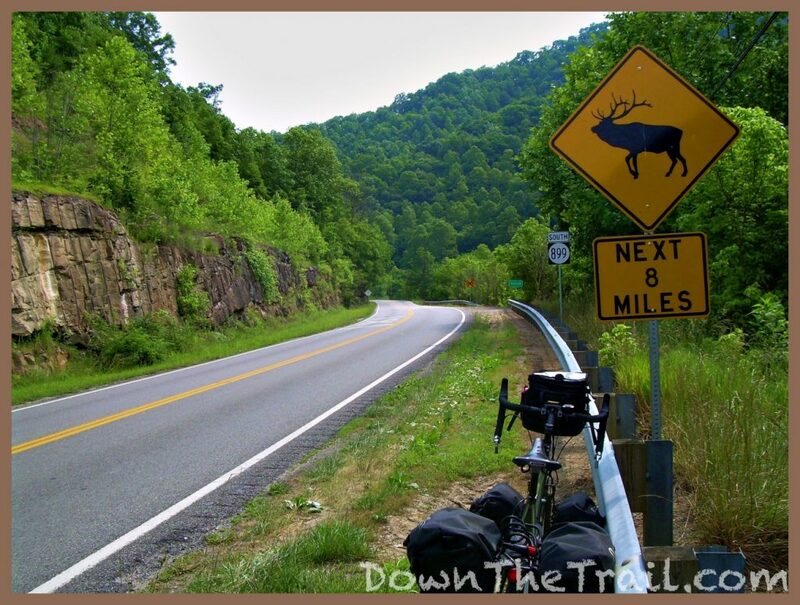 Fortunately the roads and towns stick to the narrow river valleys… but they sure are narrow. 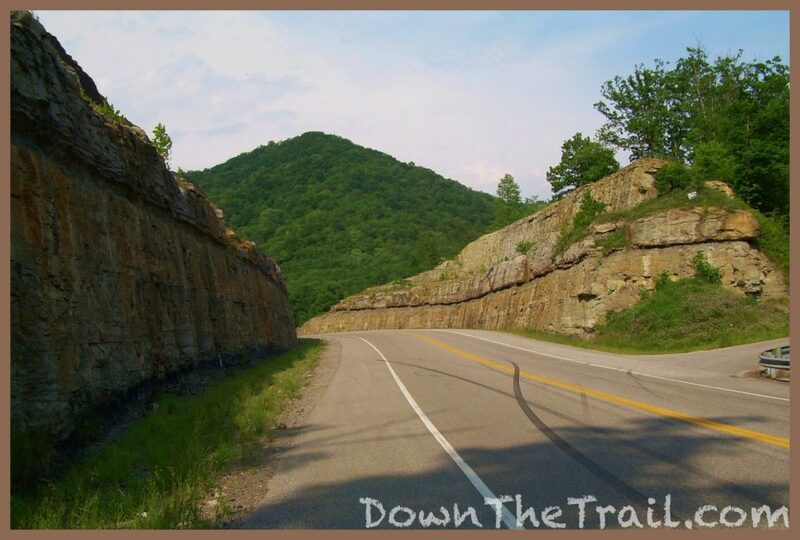 Also, many of the roads have a sheer rock face rising along one side – about 20 feet or higher – and a similar cliff on the other side, as though they were all blasted out with dynamite. 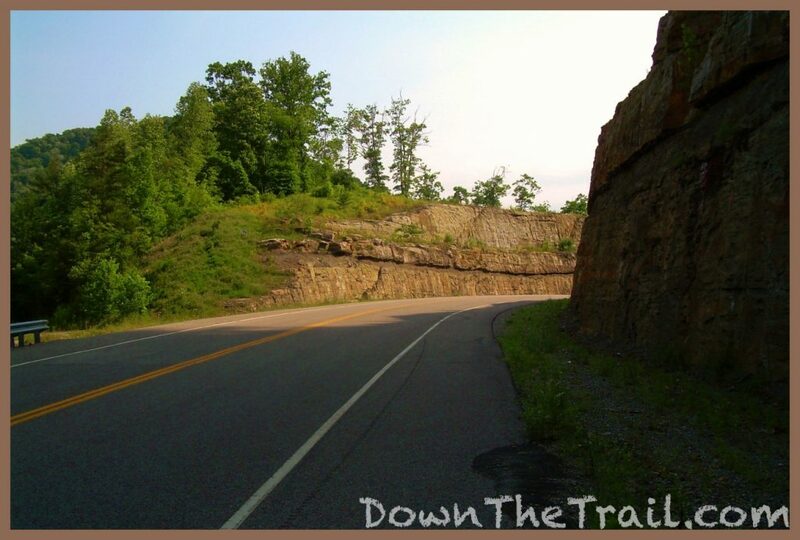 Because guess what, all the roads around here had to be built on the side of a hill! I suppose you get the idea… but the lay of the land around here is so unique to me – these steep, dense hills. They’re all wooded, of course, because it’s not practical to build anything on their steep slopes without blasting out the rock. 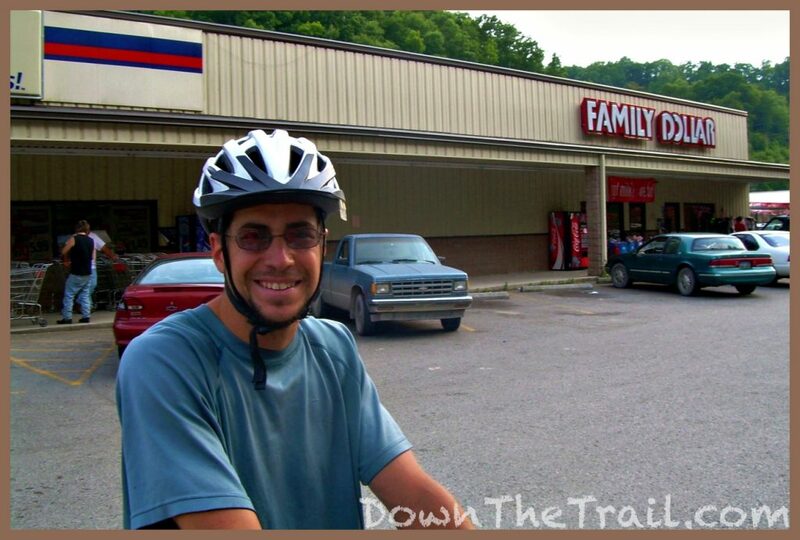 So not long after I passed into this state, I stopped at a general store for some breakfast. They had these little things that are essentially like glazed donuts – two for a dollar, over 500 calories each. 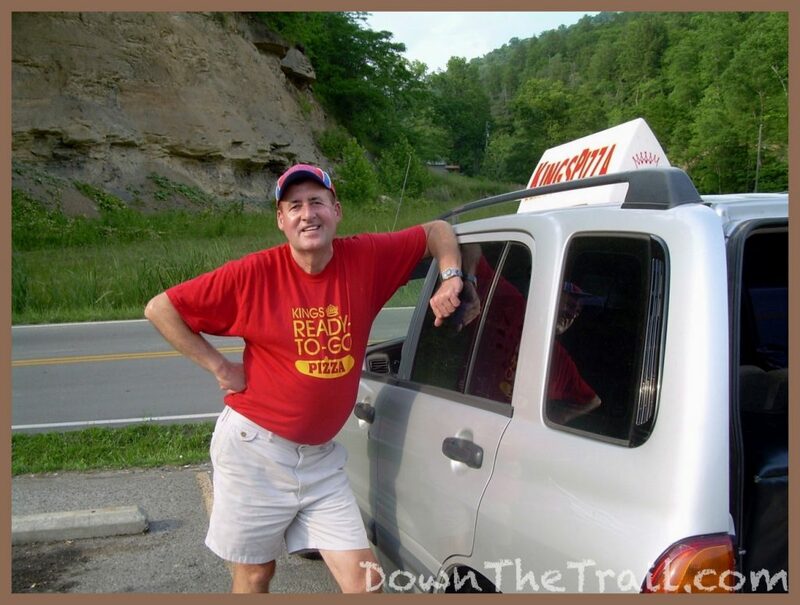 I bought two of them, a snickers bar, and a mountain dew – and ate all that on the spot. Then I went back in and got four more of the glazed donut things for two dollars because I thought it was a good deal. While sitting out front of the store and stuffing my face, I kept seeing people driving down the road on ATVs. 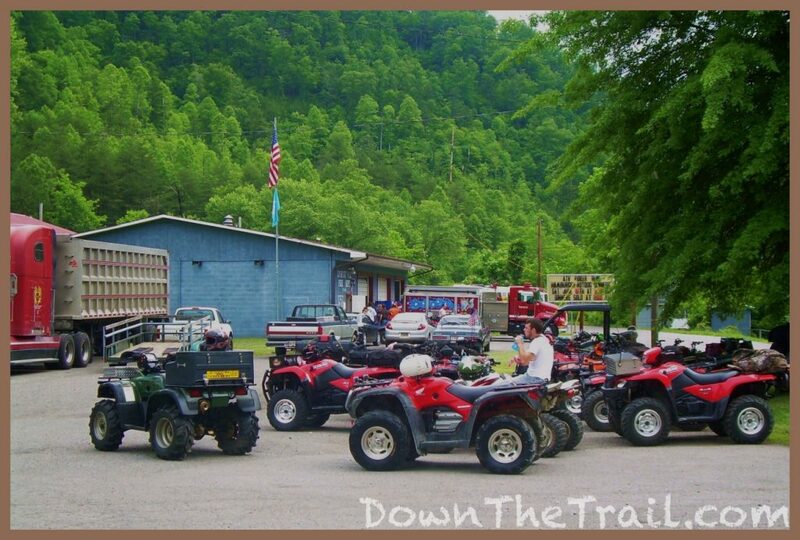 I thought, “Gee I guess that’s the big thing to do around here.” Then a mile down the road, I passed a fire station with all the ATVs parked out front. It’s Saturday morning, and it seems as though they were holding an a “Poker Run.” The one guy explained to me how it works, but I didn’t really understand, and therefore can’t explain it to you. A few hours later, I passed literally 50-100 motorcycles, all riding together, going the opposite direction as me. I guess they had some sort of outing today as well. 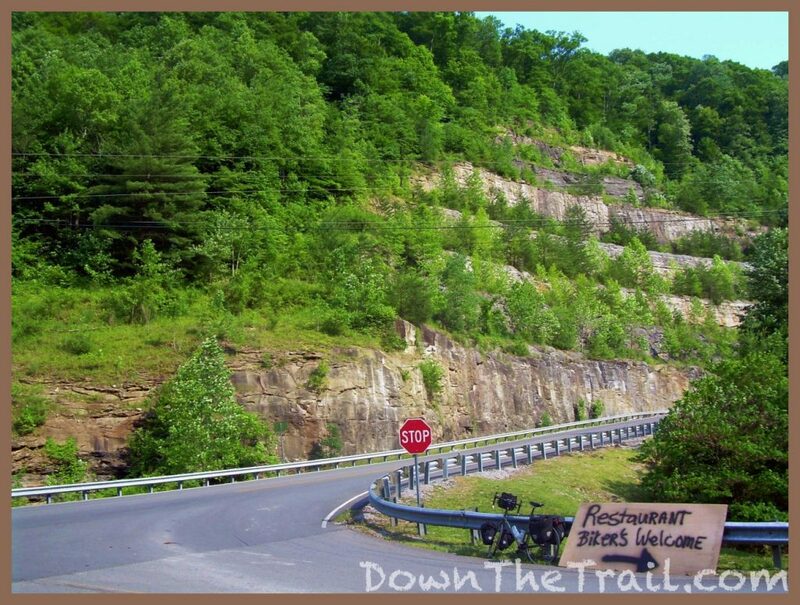 I’d heard a great deal of cyclists that have done this route talk about the infamous “Dogs of Kentucky.” They make it sound as though every mile contains an unleashed, bloodthirsty pit bull that hasn’t tasted a cyclist’s flesh for at least a few hours. This isn’t necessarily true, but I did have considerably more dog encounters than usual today, my first day in the state. I think three dogs chased me out into the street, but none of them (For the entire trip, in fact) have been big, mean, and vicious. The ones that came out after me today all backed off when I yelled at them in my big mean “get away from me right now before I make roadkill out of you, you little noisy piece of s**t” voice. So I haven’t had the opportunity to use my handy dog mace. That’s a good thing. I didn’t get any of this attention in Virginia. It was especially nice to talk to three young kids today – one boy who was really interested – and a fellow by the name of Chester Jones, selling pizzas out of the back of a truck outside the dollar store. “I’ve been married three times,” he told me, “The first time when I was 39!” He didn’t look a day over 50. While I was pedaling up a mountain this afternoon (Par for the course today), I met an eastbound rider coming from Oregon. We had a nice talk, and updated each other on what to expect up ahead. He said he’s been seeing a few west-bound riders every day… I was the first today, though. Right now I’m in my tent outside a bed and breakfast that lets bikers camp at a great discount. The guy who runs it showed great hospitality, and was nice to chat to this evening. The forecast isn’t calling for storms, but I’m hearing some thunder in the distance now. The owner said I could run inside if the weather gets bad, but my main concern regarding a storm is that I’d rather not have to deal with the pouring rain and wet tent in the morning. And now I hear some animal off in the woods screaming, like a bobcat. Life is good.